15 startups. One Silicon Valley bed and breakfast. Bishara (center) with his tenth Blackbox cohort at pitch night. Putting a bunch of startup founders under one roof sounds like the makings of a juicy reality television show. But Blackbox, a Palo Alto accelerator, has been doing it for the past three years. Just without the cameras. The founders selected to participate are far from your average Silicon Valley entrepreneur. The program is for international startup founders -- the most recent cohort hailed from countries including Pakistan, Uganda, Israel and Ireland. Blackbox founder Fadi Bishara, who's originally from Syria, developed the idea while visiting European startups in 2009. He noticed a lack of basic resources and thought there was a lot they could learn from Silicon Valley. So he created a two-week immersive accelerator that provides networking, mentorship, legal insights and a home base. Last year, the program received 1,200 applicants and accepted 48. This year, it will accept 80 startups -- with up to two founders each - in five separate cohorts. Blackbox works closely with Google for Entrepreneurs, which covers the $15,000 tuition for some participants. That covers meals and housing as well as the program, which includes speakers from firms like Square, 500 Startups, Kauffman Fellows, and a trip to Google's (GOOG) headquarters. A key part of Blackbox is the fact that all participants are required to stay at the same bed and breakfast. Bishara said it's essential to the program's success "because of the intimacy it creates." He said he likes to "mix it up" and split up co-founders when possible. 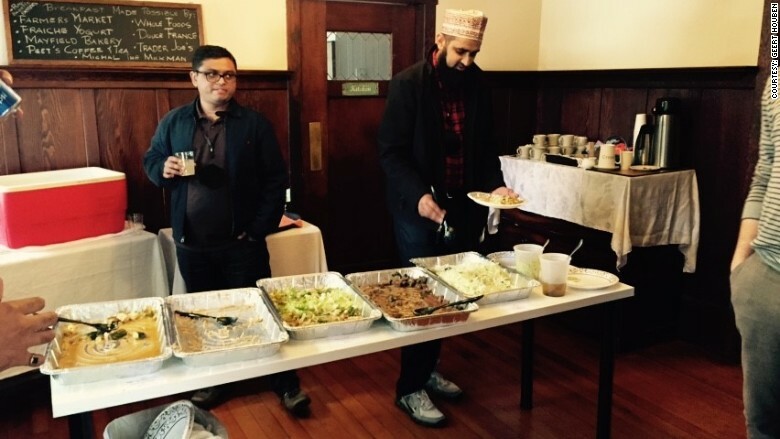 "The collaboration as a result of diversity is really interesting," Bishara said. "I want to put Israelis and Palestinians in the same room." Palo Alto's Cowper Inn is home to startup founders for two weeks. Bishara started the program with a few startup founders in his Palo Alto home. As the program developed, in 2012, it moved to a mansion in Atherton -- which they had to vacate in 2013 because it was for residential purposes only. 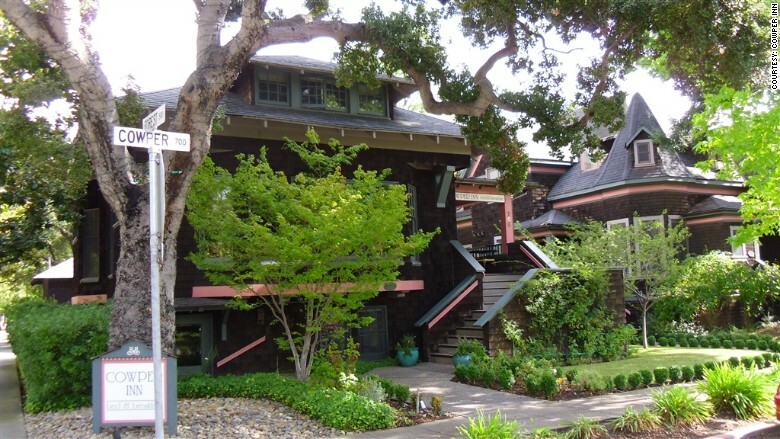 The new home base is Cowper Inn, a Palo Alto bed and breakfast that's exclusive to Blackbox during the program. 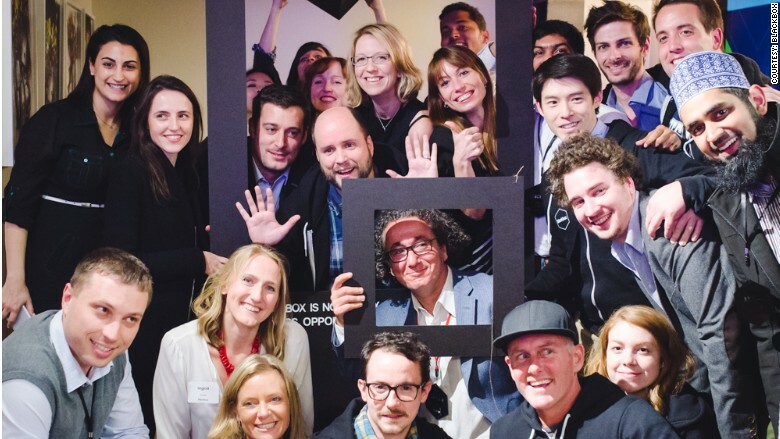 Last week, the most recent cohort of Blackbox "graduated" from the program, which culminated in a pitch night at Galvanize in San Francisco. There were 100 attendees, roughly 40 of whom were investors, according to Bishara, as well as alums like Dominik Balogh. Balogh is from Slovakia and participated in the program in 2012 with his startup M.dot. In 2013, the company was acquired by GoDaddy for an undisclosed amount. When asked about the program's focus on living with fellow participants, Balogh didn't hold back. Chefs at the Inn prepare meals for Blackbox participants to eat together. "Super important. It's like a soft landing for foreigners in the Bay Area," he said. "Building relationships motivates you to push harder." And while the startups don't compete for any prize -- for many, like Balogh, it's a way to make a home for themselves in the competitive Silicon Valley tech world. Geert Houben, a Belgian founder of an online platform for the elderly, agrees. Despite opening an office for his firm, Cubigo, in San Francisco last year, Houben still needed Blackbox's network and support. Two entrepreneurs from Uganda pitch their startup, Fezah. "We feel it's very hard as a foreigner to come into the ecosystem," said Houben. "[But] there are very good people all over that world." 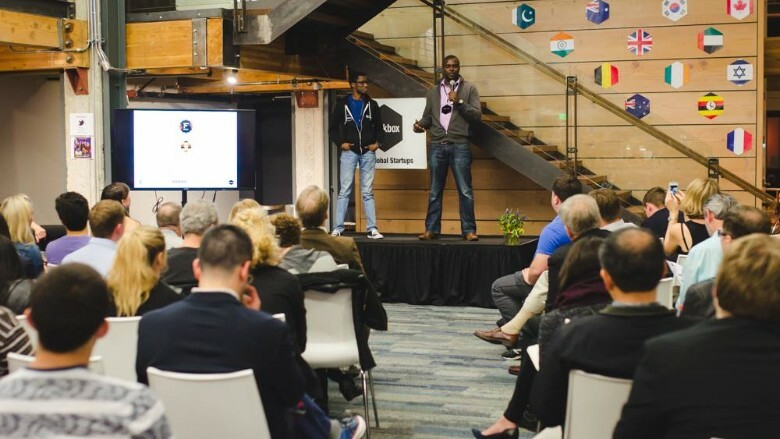 Houben was one of 15 startups that had three minutes to pitch his company at Galvanize. Throughout the pitches, Bishara leaned up against a wall. Like a proud father, he couldn't wipe off the grin on his face.